Nairobi is the capital and largest city in Kenya. Many travelers come to Kenya specifically to do a safari in the famous Masai Mara National Reserve. 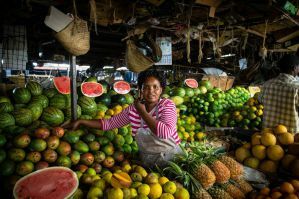 Most visitors spend a least a couple of days in Nairobi either before or after their safari. There are also a handful of popular attractions in the city. 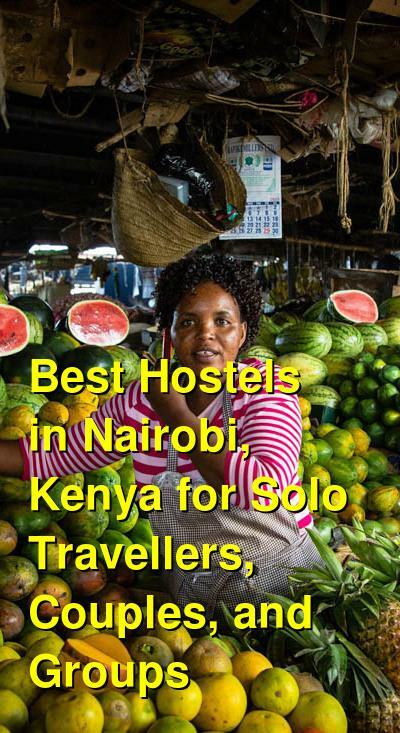 There are several good hostels in Nairobi for budget travelers. If you're on a budget and want to have a social environment then a hostel is usually your best option. How much do hostels in Nairobi cost? Milimani Backpackers & Safari Centre is a great option in the suburbs of Nairobi. It's located in the suburb of Karen and is near many different things including Galleria Shopping Mall, the Giraffe Centre, Karen Manor, Karen Blixen Lounge, Sheldrick animal orphanage, Carnivore Restaurant, and Nairobi National Park. It is a bit outside of central Nairobi so navigating the city can be a little difficult and expensive. The hostel is a social and friendly place to stay. They have a restaurant and bar on-site, as well as an open terrace where many guests enjoy hanging out. The staff is friendly and helpful. There are regular barbecue nights as well as "African nights" when they serve local cuisine. The hostel has several good amenities for guests including free wi-fi and a good security system. Breakfast is also included in the price of the room. Rooms range in size and include singles, doubles, and dorms. Several rooms have balconies and private bathrooms, while others have shared bathrooms. Dorms sleep either six or ten people. Six bed dorms are split by gender while ten bed dorms are co-ed. A good hostel for large and small groups, solo travellers, and couples. Bush House and Camp is a guesthouse in Nairobi. It's located in a safe neighborhood and is conveniently located on the route to both Jomo Kenyatta and Wilson Airports as well as the road to the Namanga border with Tanzania. This makes it a convenient place to stay during a stopover to Arusha, Tanzania. The staff can even help you arrange shuttle buses on to Arusha. They also have taxis and transportation available 24 hours a day. They also offer airport pickup and dropoff for an additional fee. If you're traveling alone, or want to meet other travellers, then this is a great option. There are all types of travellers around that can offer advice or share their own travel experiences. There's also a travel desk where they can answer questions or make any arrangements for you. It's a good place to stay if you're looking for a good night's sleep, but also want to meet other travelers. There are often school groups or tour groups staying here. Rooms range in size and include singles, twins, triples, doubles, and dorms. For those on a particularly tight budget, there are also camping areas. Breakfast is included in the price of the room. A good option for solo travellers, couples, and families. Khweza Bed & Breakfast is located about five minutes from Nairobi's City Center. The B&B is a welcoming place with great views of the city and a friendly staff. It's an affordable option for travellers who don't want a traditional hostel but also want to stay within a budget. It's technically a guesthouse but has the social vibe of a hostel. There are no dorm rooms. The B&B is well decorated with African decor and it has a comfortable vibe. Breakfast is included in the price of the room and includes fresh fruit, sausage, eggs, toast, fresh juice, sweet potatoes, arrow roots, tea, and coffee. Let the staff know in advance if you have any special dietary needs. They offer several good amenities including free wi-fi, airport transfers, and bookings for various tours and safaris. Only private rooms are available and they are either standard, deluxe, or executive. Standard rooms sleep one person and deluxe are either twins or doubles. Triple rooms are also available. All rooms have a private bathroom. A good hostel for solo travellers, couples, small groups, families, and groups of friends. Wildebeest Camp is about eight kilometers from Nairobi's city centre. It's the city's first permanent tent camp and it is a unique oasis that gives you a break from the chaos of the city. The "rooms" are actually high end safari tents that are comfortable and well furnished. On the grounds you'll find beautiful tropical gardens and many different plant and bird species. There are a variety of amenities available to guests including breakfast, lunch, snacks, and dinner (all for an additional fee), bar service, wi-fi, security lockers, a guest lounge, and a gift shop. There's also a travel desk where you can arrange safaris and book tours or transportation. The camp provides a range of options depending on your budget. If you're on a particularly tight budget, you can camp in the garden for a very low rate. The luxury, ensuite safari tents are significantly more expensive and include breakfast. They are also quite comfortable and nice. Dorms are also available, as are single and double rooms, and single, double, triple, and quad sized safari tents. The diversity of options available at this facility really make it a good option for everybody.